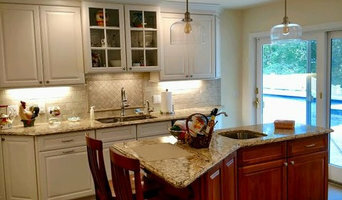 Incredible Home Improvements, LLC is a Long Island based home remodeling and design company. We're a family owned & operated business spanning three generations of knowledge and hard work. We are a relatively small company. We provide an intimate service the entire length of the job, from concept & design to the final inspection. We are professional, courteous & hardworking. Being a boutique company helps to keep your cost down as well as keeping your job a priority from beginning to end. We guarantee all our work. Creativity, enthusiasm and care is something that we pride ourselves on. We feel this is what separates us from other remodeling services. Let us remodel your view on Home Remodeling! RightWay Home Improvements & Contracting Inc.
RightWay Home Improvements & Contracting Inc. is owned and operated by myself, Frank Rudy. I personally handle each customer from the first phone call, to the free estimate, to the final day of the job. 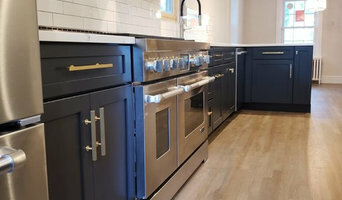 I will even help you select the right materials for the look you wish to create from tile and paint colors, to flooring and cabinets. No job is too big or too small because every job is important. That is why I come to every job site myself and work right along side my employees. I work closely with roofers, plumbers, electricians and other subcontractors to make sure that every detail of your project is completed professionally and on budget. To help you manage your budget, the cost of your project can be divided into easy-to-manage payments to be made as work progresses with the final payment being due only when I complete the work. I am experienced in both residential and commercial property improvements and am licensed in both Nassau and Suffolk Counties. 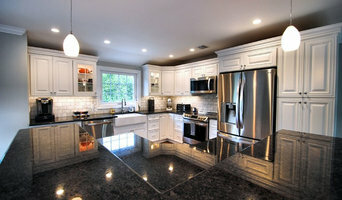 Dream Home Designs specializes in all aspects of home remodeling and design. We see through all phases of construction, however, focus on interior and exterior design. We focus on all phases of general contracting such as: finish work, moldings, coffered ceilings, built in media, kitchens, bath, interior design. General, or construction contractors, are often known as project managers. They oversee the entire remodeling or new home construction project and facilitate all day-to-day tasks that move it toward completion. A West Babylon general building contractor will work with your architect to review plan as you build a house and ensure everything is in place before work is started as well as arrange for permits and necessary inspections. While good local home improvement contractors in West Babylon will have the skills to handle certain tasks onsite, such as carpentry, he or she is also responsible for hiring subcontractors for the majority of jobs, such as electrical work, painting or plumbing. In addition, the general contractor should be on-site regularly to inspect the progress and resolve issues. Here are some related professionals and vendors to complement the work of general contractors: Architects & Building Designers, Interior Designers & Decorators, Landscape Architects & Landscape Designers, Kitchen & Bath Designers, Specialty Contractors. Home remodeling contractors are a must for successful completion of a renovation. Because of this, it's essential that you do your homework before deciding on the right general contractor in West Babylon as you remodel or build a house. Inspect bids carefully. Was it ready when the contractor promised it? Was the bid for building a home unusually high or low? Each of these things can be very telling: A late bid may reflect timing standards, and an off-the-mark bid could be code for a pricey premium or a deliberate underbid to score the remodeling job. You should call references, carefully read reviews and visit completed projects in West Babylon, NY to see if they’re what you expect for your job. Once you do secure your local West Babylon contractors, read the contract very carefully to be sure everyone is on the same page. Find a West Babylon contractor on Houzz. 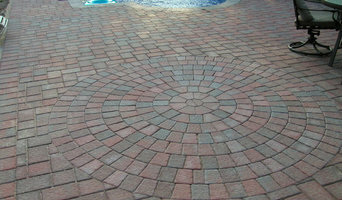 Narrow your search in the Professionals section of the website to West Babylon, NY home contractors. You can also search for photos in West Babylon, NY and contact the West Babylon general contractor who worked on the project.